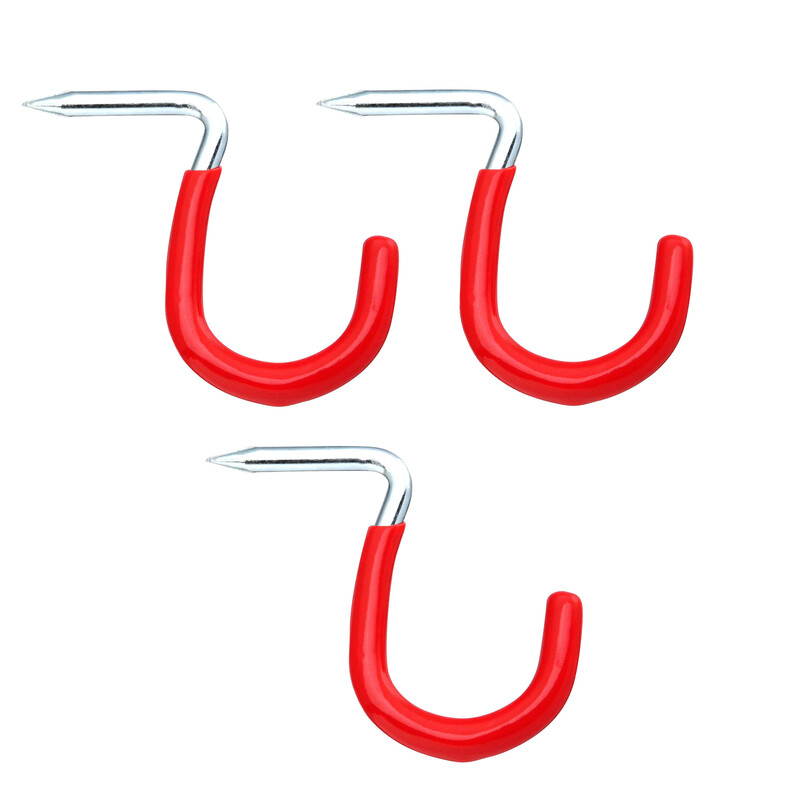 Storage hooks curved - hammer-in card of 3. Steel bright zinc plated with red vinyl coating. Ideal for storing tools, keys, etc. 20 lbs. Maximum load.